This is a standard assembly procedure. The customization degree to be offered highly impact on this standard assembly process. See how the capability to satisfy fitting impacts on assembly. See how the capability to satisfy aesthetics customization impacts on assembly. 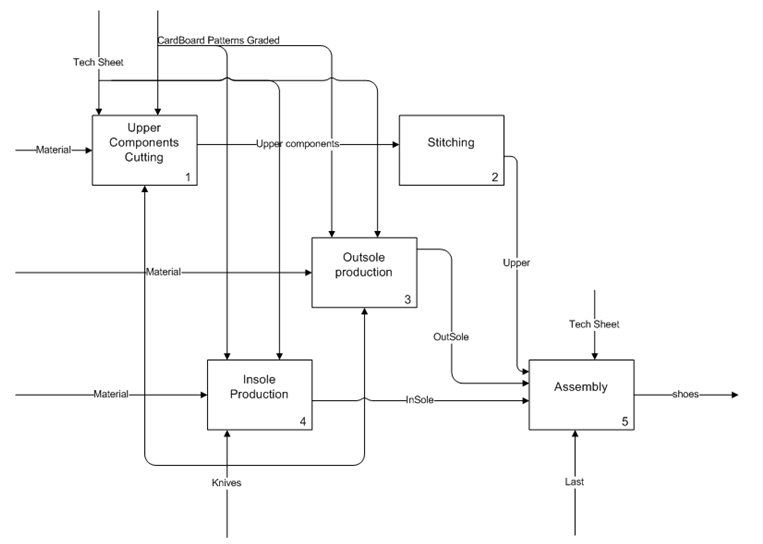 See how the capability to satisfy functional request impacts on assembly. Tech Sheet; Cardboard patterns graded; Upper; Outsole; Insole; Knives, ….